Have you heard the rumor? I have to admit it’s true. I am not a superwoman. Yes, that’s right. I’ll admit it here. The truth is that none of us are superwomen (or supermen) but we try so hard to hide it, don’t we? I know I do. It’s super easy to write a blog about how to encourage our kids. It’s super hard to admit that just this morning I had to seek forgiveness from my daughter for the anger issues I’ve had with her this week. For me it stems back to wanting to be perfect, look perfect, act perfect. I wasn’t raised by my biological dad—I didn’t even know him. Yet I remember at about seven or eight-years-old telling myself that if I was good enough maybe He’d come to find me. I did find him years later but ONLY after losing 10 pounds and getting my first novel published. (To make myself look better.) I received a little acceptance from him but far more rejection, which confirmed what I’d been feeling all along. I just wasn’t good enough … and I needed to try harder. Can you guess how I also related to God over the years? I had some pretty big mess ups in high school, and by the time I became a Christian I believed deep down that if I was good enough God would love me. I did my best to follow Him and obey, and I did a pretty good job. The only problem was that deep down I never felt enough. I was striving for superwoman but always finding myself falling short. When did things change? In my obedience of writing books, serving teen moms and adopting kids I came to the place where I COULD NOT do everything in my own strength. I needed God and had to depend on Him more and more. And you know what I found from God in my desperate moments? LOVE. Yes, when I couldn’t do it all, be it all, God’s love was waiting there for me. I found grace too. And I realized I was completely loved by God no matter how much or little I did. God’s love and grace isn’t about me, afterall. It’s about Him. That rumor is true too. I’m super excited about this book, and so I have one request. Would you please consider pre-ordering Walk It Out? First, there’s a wonderful pre-order price (score!). Second, I’m not only asking for something … I have a special gift for you too! My journey in following God wouldn’t be possible without prayer. That’s what I wrote a BONUS BOOK for you: 30 Days of Prayer as You Walk It Out. If you have ever wondered, Isn’t there more to the Christian life than this? this book offers guided prayers to help you on your walk with God. Information on how to get a free copy is found HERE. Now, this isn’t just a few printables of prayer ideas. This is a real book that you can download. And it’ll be free only until Walk It Out releases on October 1. 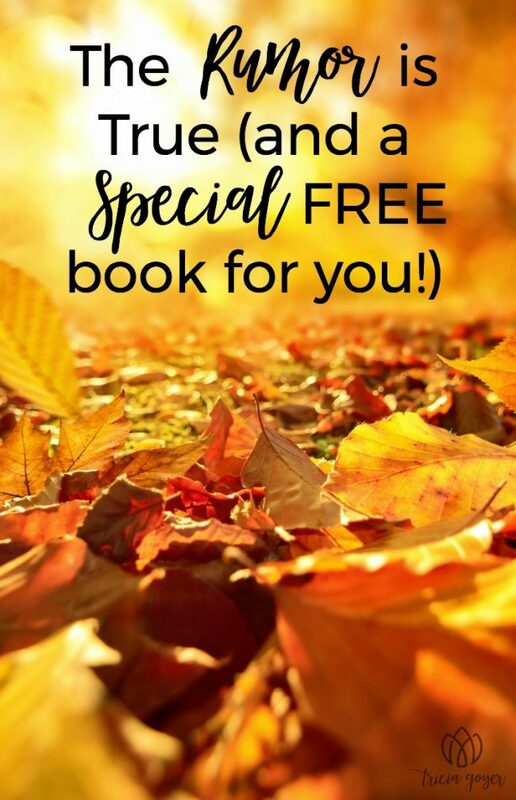 If you pre-order, you’ll buy one book and get the second free! And, if I dare ask for one more thing, can you please share this special offer with your friends? Below, I’ve included text you can share on your social media sites. It will mean so much to me. My prayer is that this book will help many people take obedient steps and discover God in ways they haven’t known Him before. Thank you for being my friend. Thank you for supporting me and encouraging me. 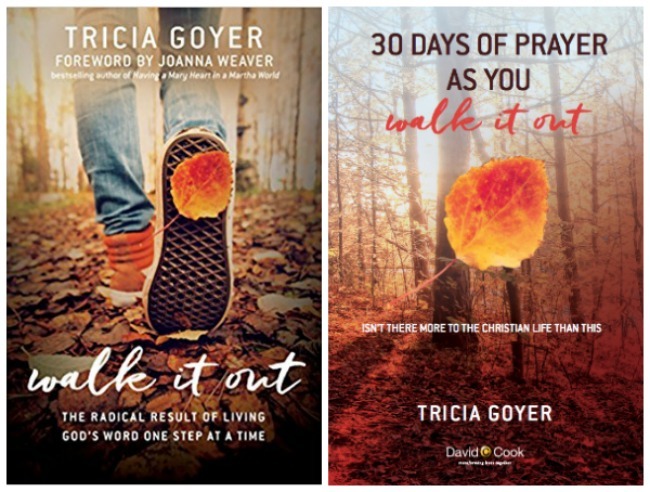 My prayer is that Walk It Out and FREE prayer book will be an encouragement to you, too.